On all hollows eve, when the moon is round……..
As ODDTOBER draws to a resounding close, Harley, Brett and Amy gather around the table to cuss and discuss spooky listener stories. 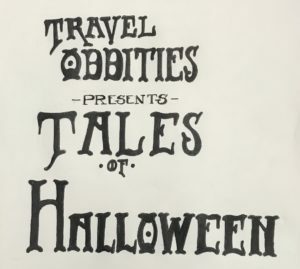 We send Season 2 of the Travel Oddities Podcast out in style with tales of battlefield specters, alien encounters, ghostly marchers and life saving ethereal interventions. You’ll never look at paint brushes the same again.